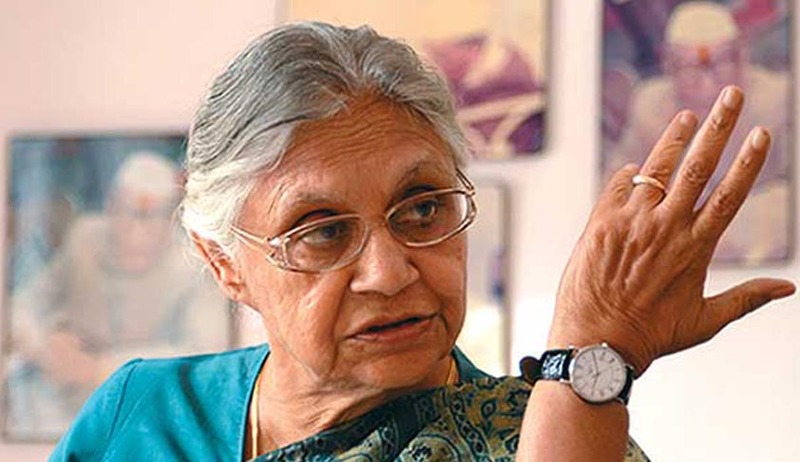 Former Chief Minister of Delhi, Sheila Dikshit, who is currently the Governor of Kerala, today approached the the Delhi High Court for quashing an FIR against her in a graft case, submitting that such proceedings cannot be continued against a Governor. Advocate M. Pracha, appearing for Dikshit, reportedly relied on Article 361(2) of the Constitution of India according to which, "no criminal proceedings whatsoever shall be instituted or continued against the President, or the Governor of a State, in any court during his term of office". BJP leader, Vijender Gupta had filed a complaint alleging that Dikshit's administration misused public funds amounting to Rs 22.56 crore in an advertisement campaign ahead of the 2008 assembly polls and the trial court had ordered lodging of an FIR against her. A special judge had on August 31, last year, ordered registration of FIR against Dikshit and others for offences including criminal breach of trust (section 409 IPC), criminal misappropriation of public funds and criminal misconduct under provisions of the Prevention of Corruption Act. The ruling AAP Government in Delhi, then approached the High Court against the trial court’s order which was stayed. It had been contended that Dikshit will have to fight for herself herself, as the Government had lost the locus standi to defend her. Then in February 2014, the Arvind Kejriwal-led government had moved the High Court seeking to take back the appeal filed by the Congress government headed by Dikshit. This was opposed by Dikshit in the subsequent plea, seeking her impleadment in the matter. On February 26 then, the high court had said that Dikshit will have to defend herself in the graft case. The matter was adjourned to July 23 by a bench of Justice Sunil Gaur, due to absence of the advocate representing the complainant, owing to illness. Dikshit served as Delhi's Chief Minister from 1998 to 2013 before she lost to Aam Aadmi Party leader Arvind Kejriwal by over 20,000 votes, in the December 2013 assembly polls. The former CM had represented UP's Kannauj parliamentary constituency between 1984 and 1989. Dikshit also faces graft charges in relation to the CWG scam and for irregularities in Delhi Technological University admissions. The latter relate to the 2012 DTU recruitment process in connection to the vacancies advertised in December 2011. The shield, however, may be lost if the NDA government at the centre decides to remove her, just as the UPA government had done a decade ago with all the NDA government’s appointees. But that is all in the realm of conjecture. For now, Dikshit enjoys constitutional immunity, however vocal her opponents may get.